Pain and Brain Healing Center's Dr. Greg Fors is a Minneapolis chronic fatigue doctor offering holistic solutions for Minnesota residents. To set up a FREE consultation with Dr. Fors, contact Pain and Brain Healing Center online, by calling 763-862-7100 or by stopping by our Blaine office. Are you tired of being tired? Wonder why you can't get well? Drugs cannot fix the cause of your Chronic Fatigue. 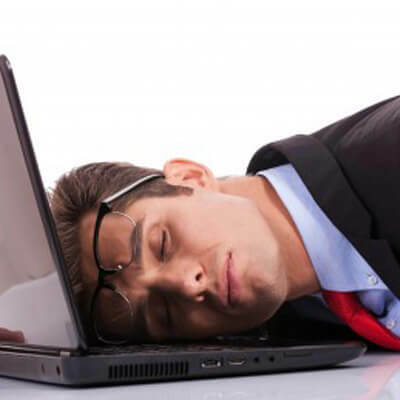 Your Chronic Fatigue is a warning signal! There is a metabolic reason for your Chronic Fatigue. Your doctor probably does not have training in Chronic Fatigue. Are you physically and mentally fatigued, is it interfering with your daily normal life? Exhaustion can show up not only as physical fatigue and pain but also as a mental fatigue, causing mood and focus issues The National Institute of Health points out that about one in every five Americans have fatigue severe enough to affect their daily life, and the list of possible causes for fatigue is virtually endless. Fatigue and malaise are almost always included among the symptoms of diseases listed in medical literature. Because the possible causes are endless many times individuals who suffer from fatigue rarely get to the underlying cause and correction. However, after comprehensive workups I usually find one of six overlooked reasons for my patients’ fatigue. Iron deficiency but with normal hemoglobin and hematocrit levels: Most doctors are taught to base the diagnosis of anemia on these lab results. However my clinical experience and a study published in 2012 showed that individuals with normal hemoglobin but serum ferritin levels below 50 mcg/ml had their unexplained fatigue improved with iron supplementation. Many times I find this low serum ferritin the tip of the iceberg pointing to greater problems such as maldigestion and malabsorption. Poor digestion and absorption: Very few patients I see for fatigue have been properly worked-up for maldigestion and or malabsorption. In fact many times patients with digestive disorders such as GERD are placed on medications that only worsen their maldigestion and malabsorption. The primary culprit is the proton pump inhibitors such as Prilosec that shut down the ability to begin digestion in your stomach. If you are not properly digesting and absorbing micronutrients from your food to process your calories into energy you can become physically and mentally fatigued. Proper laboratory testing can verify if you are suffering from maldigestion and malabsorption. Metabolic syndrome and pre-diabetes: Then there's the problem of not getting enough calories adequately into your cells to create energy from. The cause of this is insulin resistance that leads to metabolic syndrome and pre-diabetes. When your cells develop resistance to their own insulin glucose is unable to adequately enter the cell can be used for energy. With this individuals become deficient in energy while they store excess energy in the form of fat around the middle becoming apple shaped. Early diagnosis of insulin resistance and proper nutritional care not only conquers fatigue but also prevents the development of diabetes. Food sensitivities and allergies: These are often present in my patients with chronic fatigue and pain. I find the most common culprits to be gluten and dairy, but it really can be virtually any food. Starting an elimination diet removing the most common allergens, and then eating only whole natural organic foods is usually the best way to determine food sensitivities. However, for some individuals this can be difficult to follow so I will utilize IgG and Elisa food allergy tests to pinpoint the culprits. Thyroid dysfunction: Many individuals who come to me with chronic fatigue have undiagnosed Hashimoto's thyroiditis. Today 90% of all have hypothyroidism is caused by the autoimmune disorder Hashimoto's disease. The only way this can be diagnosed is by running the thyroid antibody tests. Also many individuals do not properly convert their T4 into the bioactive free T3. Again, only proper laboratory testing will identify this form of hypothyroidism. Stealth Chronic Viral Infection: Many of the symptoms in chronic fatigue syndrome resemble those of a viral illness. Because of this is vital to look to immune function in individuals with chronic fatigue syndrome. Generally I find it’s not the virus that’s the problem because most of the viruses involved in chronic fatigue syndrome are viruses that most of us harbor. However few of us manifest chronic fatigue syndrome from these viruses. Some of the more common viruses associated with chronic fatigue symptoms are herpesvirus type 6 (HHV-6), human T cell lymphotropic virus (HTLV), Epstein-Barr, measles, coxsackie B, cytomegalovirus, and parvovirus. In individuals suffering with chronic fatigue syndrome I can measure for the level of antibodies they may be producing against these viruses. If this is the case there are natural protocols I can utilize to help an individual fight off these chronic viral infections. There is help and there are answers if you suffer from physical and mental exhaustion or even chronic fatigue syndrome. If you are having a tough time getting to the underlying cause you owe it to yourself not to be passed around the system without answers. See a knowledgeable Functional Medicine practitioner who can get to the bottom of this and treat it safely, naturally and effectively. Do My Symptoms Result From Fibromyalgia, Thyroid or FLC Syndrome?